The federal government has agreed to pay for roughly 450 asylum seekers to stay in Toronto-area hotels, a little more than a week before they must leave student residences at Centennial College and Humber College ahead of the fall school season. 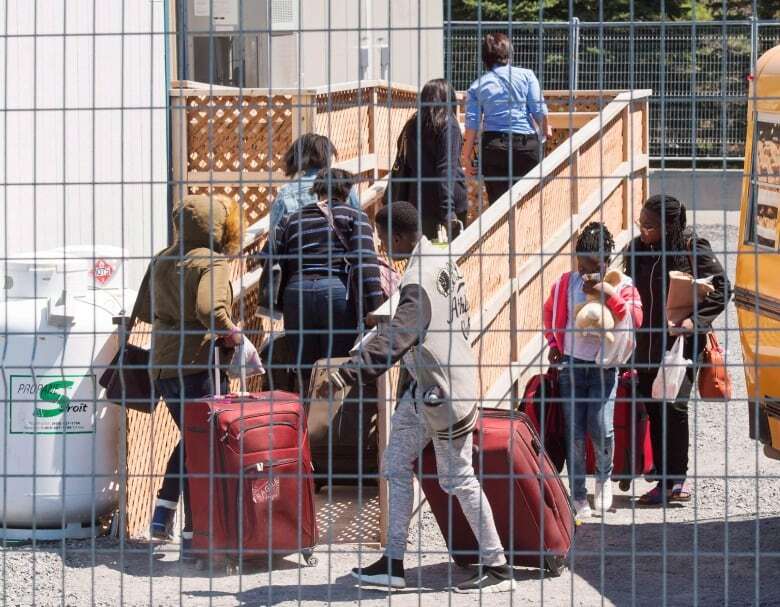 The federal government has agreed to pay for roughly 450 asylum seekers to stay in Greater Toronto Area hotels, a little more than a week before they must leave student residences at Centennial College and Humber College ahead of the fall school season. The families have been in residences since the end of May and must leave by Aug. 9 to make way for students. Ottawa has agreed to pay for hotel rooms until Sept. 30. An email sent to CBC Toronto from Immigration, Refugees and Citizenship Canada late Tuesday says the rooms have been booked in Mississauga, Markham and Etobicoke. But at least one organization dealing with refugee claimants says the government has to develop a plan that stretches well beyond the fall. 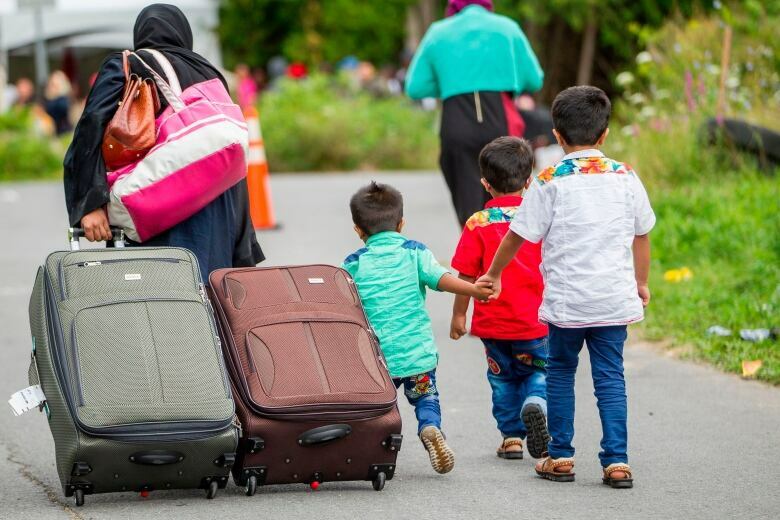 "The issue of refugee claimants won't go away, and the federal government and the city are being short-sighted," said Loly Rico, co-director of the FCJ Refugee Centre in Toronto. "We need to have a long-term vision." 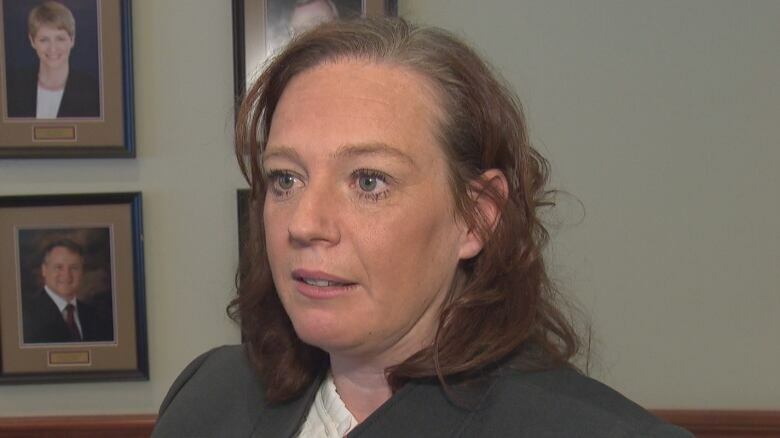 Lisa MacLeod, Ontario's minister responsible for immigration, agreed. "Unless the federal government is going to more quickly turn around the claimants' files right now, that could be upwards of two years. It really isn't a sustainable process." MacLeod, who has said the federal government should foot the entire bill for supporting asylum seekers, repeated her call for more money from Ottawa. She said that in Toronto alone, it's $74 million, and in Ottawa, it's $11 million. 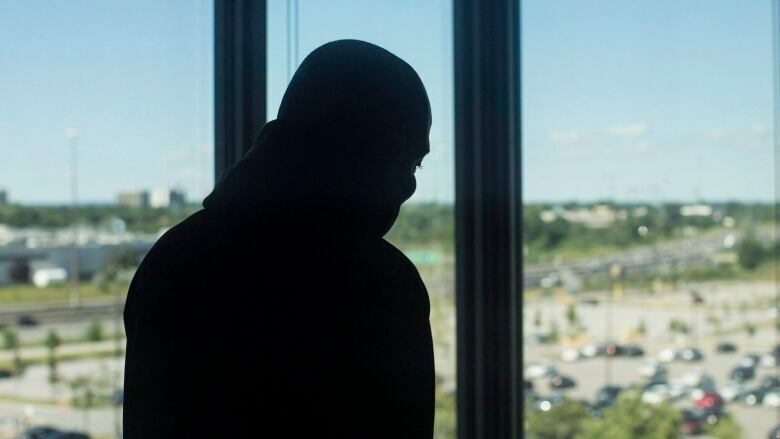 Outside the residence at Centennial College on Tuesday, asylum seekers and their children could be seen entering and leaving the building, but security guards wouldn't allow CBC Toronto to speak to the families. College officials said they're being protective because some asylum seekers feel pressures from all the media attention. "Due to pressures Toronto is facing with the shortage of temporary accommodations in their shelter system, the government of Canada has booked hotel rooms to assist Toronto in accommodating the individuals who are staying in two college dormitories," said Nancy Caron, a spokesperson with Immigration, Refugees and Citizenship Canada. "This will allow city officials time to keep working to assist these individuals to find housing solutions." Not all the refugees will be staying in Toronto, city spokesperson Cheryl San Juan said in an email. "Many families are already choosing to leave Toronto to find housing in other GTA communities and beyond, given the high price and shortage of affordable housing options in the city." Peel Region has already taken in almost 100 of the refugees, who are now living in hotels. On Sunday, protesters held up signs opposing refugees seeking temporary shelter in Markham, and a group said it would circulate a petition outside the main entrance of the city's municipal building on Wednesday. On Wednesday, Ward 2 council candidate Charles Jiang delivered an online petition with over 1,000 signatures to the office of Markham Mayor Frank Scarpitti. "They never said how many are coming, how long they're going to stay, who are they, where's they from, we don't know. Those are the questions, legitimate questions, that we are throwing back to our mayor, that's all it is," Scarpitti said. A statement sent from the mayor's office says, "it is important to note that the majority of asylum seekers are well educated, employable and have found permanent accommodations within 90 days. There would be no cost to the Markham taxpayer." York Region, which includes Markham, confirmed Wednesday that 150 to 200 refugee claimants will be temporarily housed there beginning Aug. 1. Rico said many asylum seekers want to stay close to Toronto "because they want to have access to their lawyers ... have access to their refugee hearing and other services. "It is frustrating that there is no co-ordination between the different levels of government. The federal government is now trying to deal with local municipalities. If the province was more involved, there would be better communication."